Musket Ball Pouring Ladle Pic? 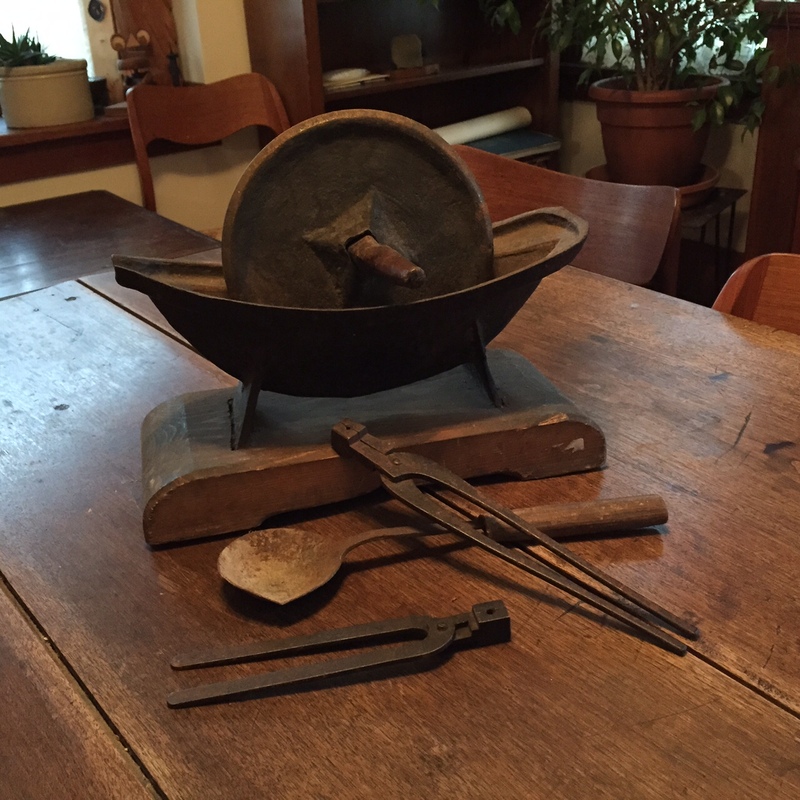 Does anyone have any pics or links of PERIOD lead pouring ladles? 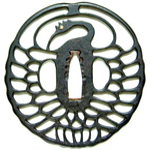 I think I've come across one in bronze, but can't find any period Japanese examples. "Matagi gunner's tools" of something like that.I have seen a couple of these ladles but that have all been iron. Skeptical re: bronze. . . Yes, those are both good period examples above. I have several myself. Anthony has a fine collection including some exceptionally large ones. Never seen bronze ones in all my years though. Here's an example of a large ladle. The twisted handle gives it a more ornate look. Most of these ladles comes with wooden handles. Still in very good condition with a nice patina on it. A true utilitarian object. LocationSomewere between the beginning and the end. 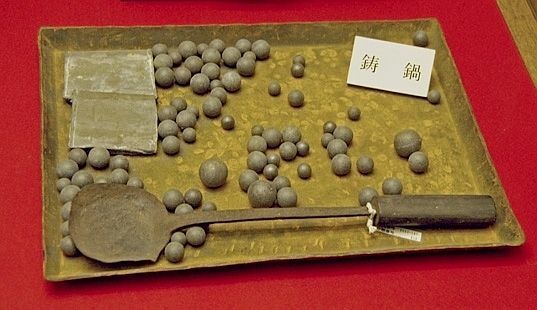 Lead sheet, tama (lead bullets) and tama-inabe (ladle for melting lead on charcoal fire). I can not remember seeing a term for lead or the grinder shown in Peter's photograph. Lead in Japanese is 鉛 Namari. The grinder is a 薬研 Yagen. PS Rereading your question it was the ladle you were asking about, not so much the mold. Apologies. I guess the twist in Jan's example above would also help to dissipate creeping heat in the handle. I think you might be on to something regarding the twisted handle absorbing some of the heat generated from the fire. Piers, I have seen some recently made reproductions without a handle or ones that are riveted together but have you seen any authentic, antique ones without a handle other than ones with the wood handle that has come off over time or where they have been riveted together rather than being one solid piece of metal? The sharp edges and complete lack of signs of use make me doubt the age of this all metal one, the rivets look new, not worn at all. Awesome replies, thank you gents! What I got ain't what u got I see that now. 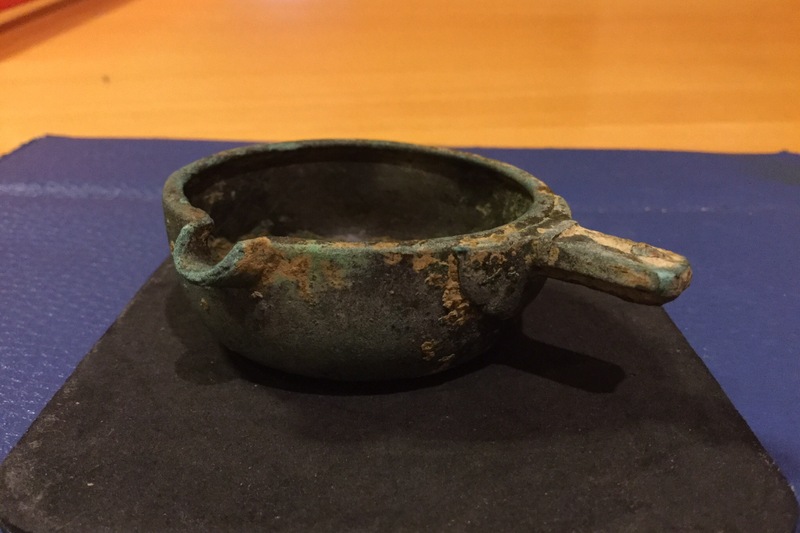 I found one example on the net in horrible condition, just says medieval miniature bronze ladle. I'm thinking mine must be for medicine or something else now , after seeing your pics. Having trouble uploading my pics, what hosting site do you recommend? 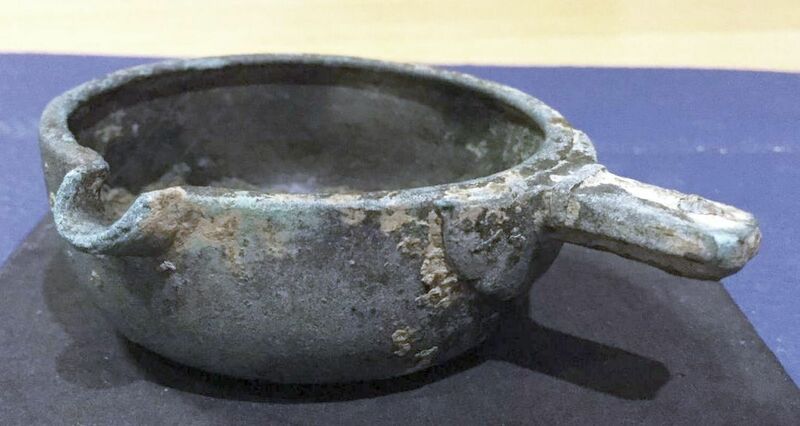 Hmmm... the example in that link is a Chinese bronze ladle, an example of goods once traded between Hakata/Fukuoka and the continent. 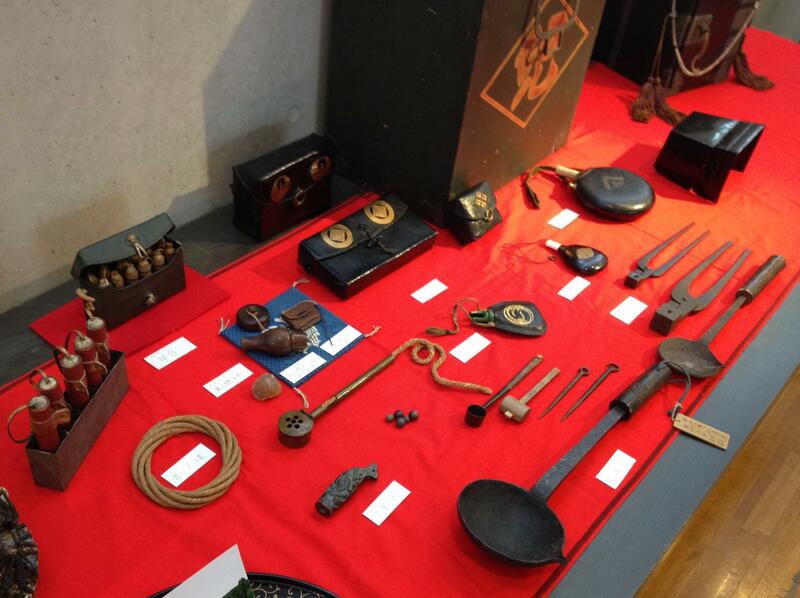 As with many rare things, Eric, yes, we need to keep our eyes peeled for more recent reproductions slipping in. I guess I should have posted both sides. Judging by the overall condition plus the fact that this ladle was given as a present from one of the leading authorities of this field in Japan, I'm very comfortable to date this as a Bakumatsu-period piece. One small point is that unless the bronze ladle is oxidised, lead would stick to it, as would solder. Perhaps it was for melting wax or some similar purpose. 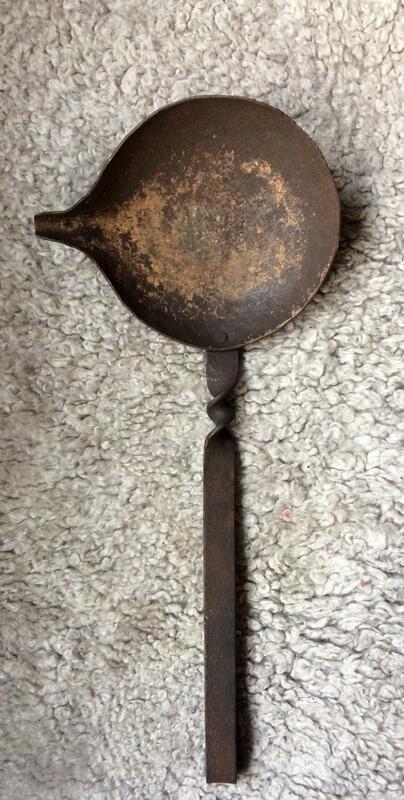 It says there was trade with China and many merchant and foundries making metal and various objects as well as artists, but I don't gather where it says this is a Chinese ladle, correct me if I'm wrong. Sure it's possible , but if it was here in the middle ages, that's close enough for me. You are correct. 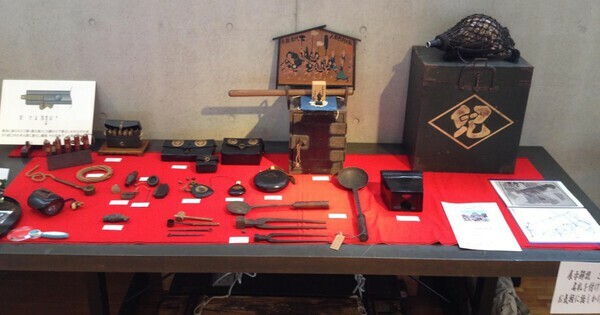 It could equally have been made in Hakata. It is described as an 柄杓 eshaku or handled ladle. Thanks for the reply. Sorry if I sounded snippy. Jan, your new image does show that it has been used. I am always a bit skeptical about blindly trusting "leading authorities", they do get things wrong and since they are seen as authorities people often hesitate to question them. I could give several examples of such glaring errors. 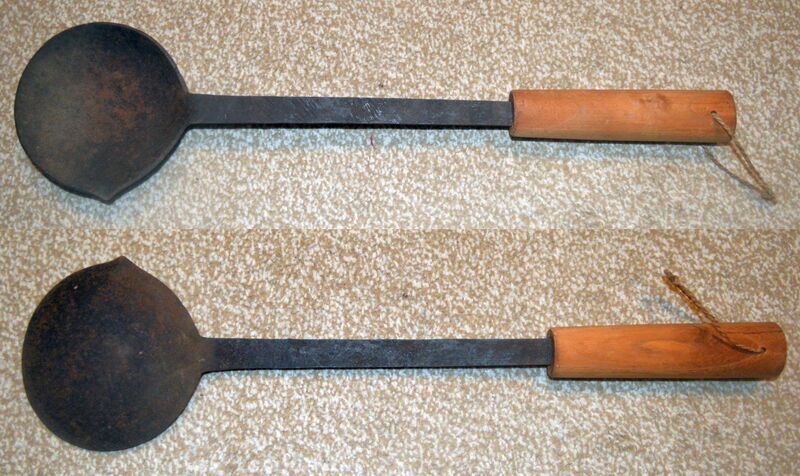 With so few actual known examples of these ladles in the first place it is not surprising that this riveted type with no wooden grip has not been seen before (at least by me), always good to see something different come up. This is also a good example of why I tell people if at all possible to get good, clear, detailed images from all sides of any item they intend to purchase. 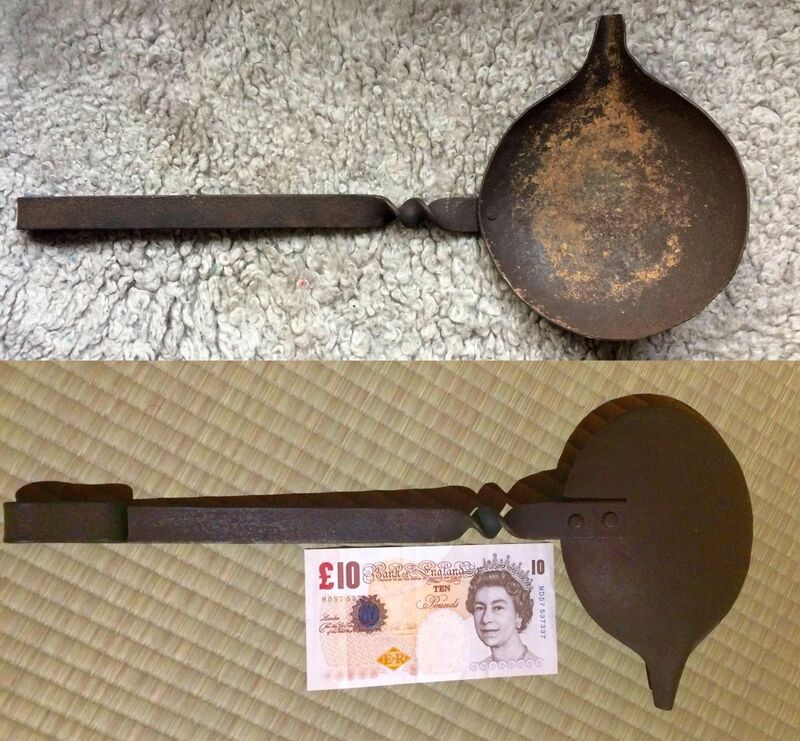 Piers, for research purposes, if you ever run across another example like Jan's ladle in anyones collection, exhibit etc it would be nice to have it mentioned.